Nicolai Malko was born in 1883 in the Ukraine. His musical studies were largely undertaken in St Petersburg. By the mid-1920s he was teaching at both Moscow and Leningrad Conservatories, and conducting the Leningrad Philharmonic where he premiered Shostakovich�s first two symphonies. Subsequently, history, circumstances and inclination led Malko into a peripatetic life. He worked at various times in Vienna, Salzburg, Prague, Copenhagen, New York, London and Sydney, and was an ambassador for Russian music throughout his life. 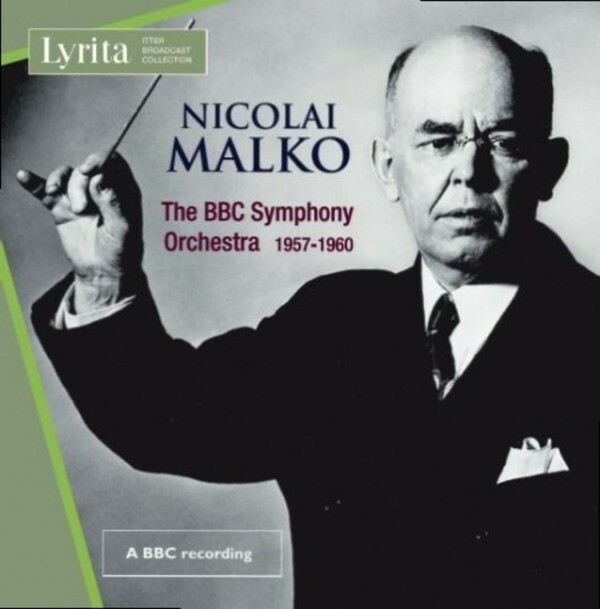 His sporadic relationship with the BBC � he was never a staff conductor - began in 1929 and lasted until his death in 1962.